You are here: Home / Festivus / Halloween Week / Happy Halloween! 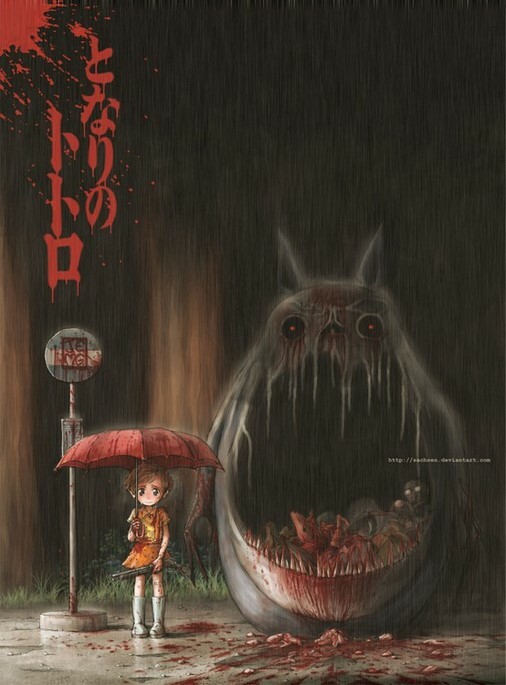 It’s Halloween, the perfect time to share this wonderfully twisted Totoro remix by Sachsen. Read some horror manga, dress up as a Japanese ghost, learn about the Kyoto yokai train (even if it actually runs during summer), and watch something spooky, like Secret Investigation Record (link to automatic video). Then come back here, because I’ve got some fun posts lined up for the week!